Indigenous tribes have inhabited the region for some 4,000 years, with Chinese settlements springing up in the 16th century. It subsequently attracted European colonists, with the Dutch and Spanish both putting down roots. In 1684, Taiwan was taken over by the deposed Ming Dynasty, before becoming completely controlled by the Qing Dynasty and made a province in its own right. In the 1890s, Chinese defeat in the first Sino-Japanese War (1894-1895) brought the first occupation of Chinese territory by the Japanese and Taiwan was ceded to Japan, in perpetuity, in the Treaty of Shimonoseki. Although it was fiercely resented and resisted by the population, Taiwan remained under Japanese rule from 1895 until the end of WWII. The Chinese Civil War (1927-1950), which had already been in progress for some years, came to a head in 1948 as Mao's Communists defeated Chiang Kai-Shek and his nationalist forces. The nationalist leadership, along with thousands of supporters, fled to Taiwan where their political vehicle, the Kuo Min-Tang (KMT) rapidly came to dominate. Having ensured its own survival, the KMT set about developing Taiwan’s economy with spectacular success, helping the small island nation become one of the fast developing 'tiger economies' of the Pacific Rim. Politically, Taiwan relied for a long time upon the support of the USA until the early 1970s, when a rapprochement between Washington and Beijing took place, the USA effectively shifting its allegiance from Taiwan to China. 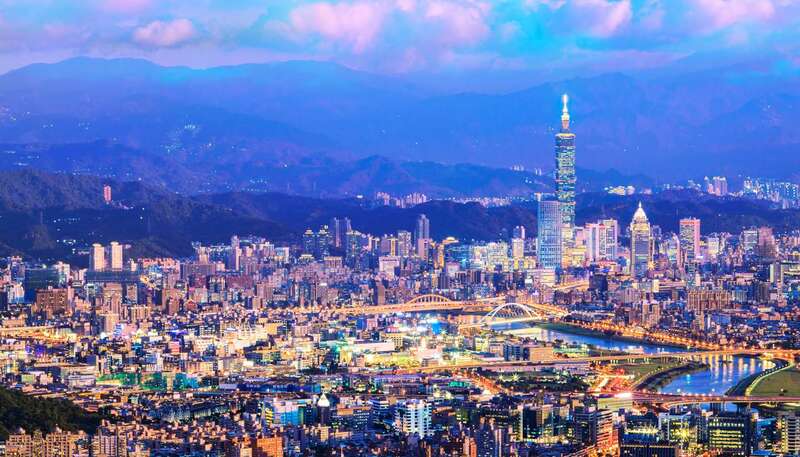 The Chinese still consider Taiwan to be part of their national territory and continue to harbour the long-term objective of reunifying Taiwan with the mainland. International recognition of Taiwan by the United Nations is therefore unacceptable to Beijing, but for all their political disagreements, extensive trade, travel and communications links have built up between Taiwan and China since the early 1970s. Taiwan continues to call itself the Republic of China, a name the People’s Republic of China finds more acceptable than official recognition of an independent Taiwan. •	Although official People’s Republic of China policy is to reunify China, in recent years it has pursued a form of unification through Deng Xiaoping’s principle of ‘One Country, Two Systems’. •	Taiwan uses two official calendars – the Gregorian and the Minguo, which began in 1911 with the founding of the Republic of China. •	Taiwan competes as Chinese Taipei at the Olympic Games and the FIFA World Cup. 'Folk religion' - a blend of ancient animist beliefs with the traditions of Taoism, Buddhism and Confucianism - forms the core beliefs of most Taiwanese. Purer forms of Buddhism are also on the rise, along with Christianity. Due to the work of Western missionaries in centuries gone by, many aboriginal Taiwanese are Christians. Despite Taiwan's complex ethnic and cultural mix, its way of life is predominantly Chinese, steeped in tradition and marked by superstition. As such, ancient customs and festivals are celebrated with fervour, and traditional holidays are closely observed. 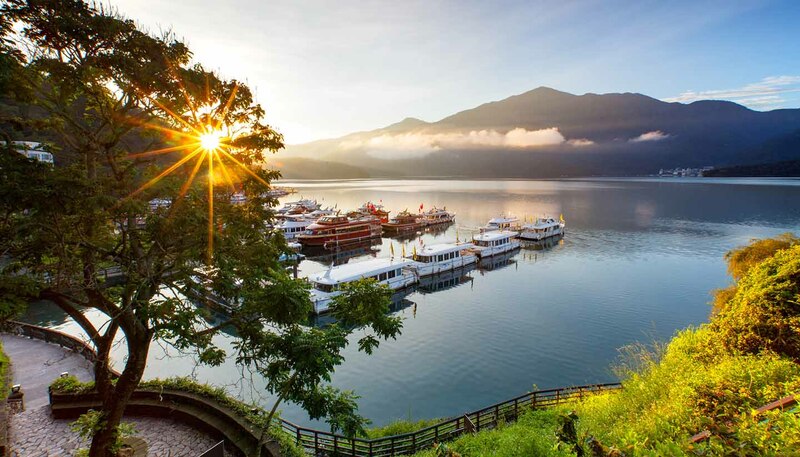 Taiwanese people are on the whole extremely friendly, and standards of hospitality are high. Entertainment is more commonly offered in restaurants than in private homes, and visitors are not usually expected to entertain. Handshaking is common, and casual wear is widely acceptable. As is the case in mainland China, the official language of Taiwan is Mandarin Chinese, commonly referred to as guoyu ('national language'). However, the native Taiwanese tongue, alternatively called taiyu or minnan hua, is still widely spoken as a first language by the island's dominant ethnic group, which originally hails from China's southern Fujian province. Hakka Chinese and various aboriginal dialects are still spoken too.